Christin Izett of Capitola will be in Santa Cruz County Superior Court December 12, 2016, for a preliminary hearing on charges of theft by false pretenses after she billed for counseling services that she was not licensed to provide. An investigation conducted by the Investigation and Enforcement Unit-Hayward Field Office of the California Department of Consumer Affairs’ Division of Investigation (DOI) found that Izett, a former marriage and family therapist intern whose intern license expired in 2012, continued to offer counseling services and billed patients for those services. Between 2012 and 2014, while working for a clinic in Santa Cruz, Izett allegedly misled patients into believing that she was a licensed marriage and family therapist and billed them thousands of dollars. The Santa Cruz County District Attorney’s Office charged Izett with ten felony counts of theft by false pretenses. The case was referred to DOI after the Board of Behavioral Sciences received numerous consumer complaints about Izett. An arraignment is scheduled for Monday, September 21, 2015 in El Dorado County Superior Court for an El Dorado Hills physician assistant charged with 30 felony counts of unlawfully writing prescriptions and prescription forgery, along with 15 misdemeanor counts of prescribing controlled substances for personal use. Wei-Ling Guo, a licensed physician assistant since 2002, was investigated by the Health Quality Investigation Unit – Sacramento Field Office of the Department of Consumer Affairs’ Division of Investigation after the Physician Assistant Board received a consumer complaint and requested the investigation. The El Dorado County District Attorney’s Office alleged that between December 2012 and February 2015, Guo illegally prescribed controlled substances to 15 fictitious patients which she then obtained from pharmacies in Sacramento and El Dorado Counties for her own use. At Guo’s court appearance the Physician Assistant Board will request an order restricting Guo’s license and her ability to practice as a physician assistant during the duration of the criminal case. 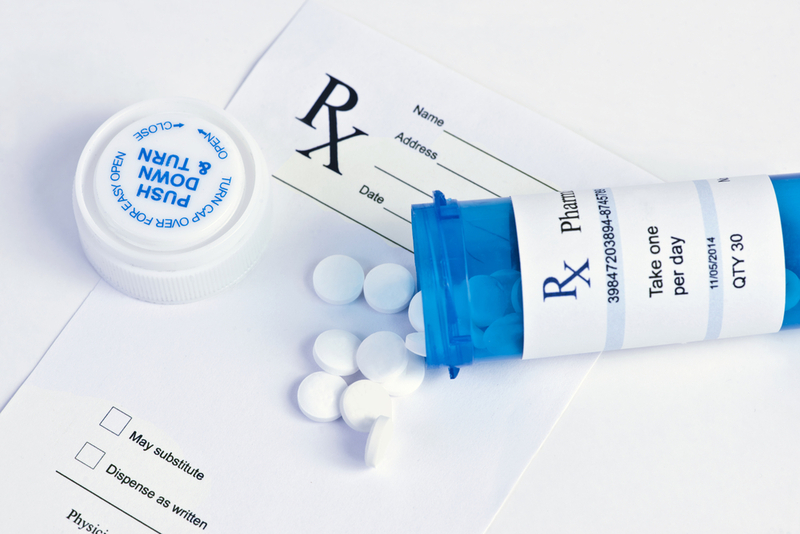 KINGS COUNTY – A Visalia pharmacist has been sentenced in Kings County Superior Court to three years’ probation, community service and addiction treatment courses for illegally obtaining controlled substances, forging prescriptions, and embezzlement. Emily Clark was investigated by the Central Valley Field Office of the Department of Consumer Affairs’ Division of Investigation (DOI) – Investigation and Enforcement Unit after it was reported that she had stolen numerous narcotic medications from facilities in Hanford and Selma. Clark gained access to narcotics including Methadone, Oxycontin, Hydrocodone, Soma, Demerol, and Dilaudid through her job as a pharmacist. During the investigation, it was discovered that Clark had also forged prescriptions in order to obtain Adderall, by using the names, signatures, and Drug Enforcement Administration numbers of two physicians without their knowledge. Investigators also learned that Clark was previously arrested by the Fresno Police Department in 2013 for felony charges of possession of a controlled substance for sale or distribution and transportation of controlled substances with intent to sell or distribute. Clark will appear in court in Fresno County on June 3, 2015 related to those charges. DOI Investigators arrested Clark on March 28, 2014. She initially faced 25 felony counts for embezzlement, theft, identity theft, burglary, forgery, passing false prescriptions, illegally obtaining controlled substances, possession of controlled substances, and possession of controlled substances for sale. The sentence was the result of Clark’s No Contest plea to four felony counts on April 21, 2015. The Board of Pharmacy has obtained a court order restricting Clark’s ability to work at any place where pharmaceuticals are the chief item of sale. The court order can be reviewed here. FRESNO – A former Registered Nurse has been arraigned on felony charges of obtaining controlled substances by fraud. An investigation led by the Department of Consumer Affairs’ Division of Investigation Central Valley Field Office found that in February 2015 Jason Burham Smith had removed and tampered with Fentanyl and Morphine vials while employed at LDAC Vascular Centers in Fresno. Video surveillance from the facility showed Smith removing the narcotics from the narcotics cabinet, although he was not authorized to do so. Smith appeared in Fresno County Superior Court Monday and pled not guilty to two felony counts of obtaining controlled substances by fraud. He also pled not guilty to one enhancement count of committing a crime while released on bail in a previous case. His bail was set at $190,000. Smith’s next court appearance is scheduled for April 27, 2015.